The Government’s response to the Frost/Black report could see the biggest shake-up of the OH profession in a generation, finds Nic Paton. The reaction from the OH community to January’s response by the Government to the Frost/Black “Health at work – an independent review of sickness absence” report has generally been one of surprise and pleasure. Yet practitioners are also apprehensive about the challenges the Government’s proposals pose to the profession, particularly around workforce issues, but also how, or indeed if, the creation of a new, free national health-at-work service could undermine existing paid-for OH provision. The establishment of a health and work assessment and advisory service during 2014. Abolition of the Percentage Threshold Scheme, with released funds reinvested in the new assessment and advisory service. Removal of the statutory requirement on employers to maintain sick pay records. Use of the Employer’s Charter to provide better guidance on what employers can do to manage sickness absence. 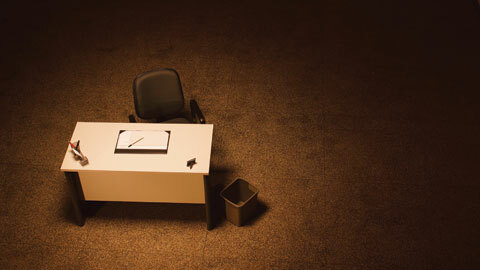 Improving standards of sickness absence management within the public sector. Commissioning research to explore the details of sickness absence management and sick pay regimes in different types of organisations. Publication of revised fit-note guidance. A greater focus in the future on the health needs of the older working population. At the heart of the Government’s response is the creation in 2014 of a health and work assessment and advisory service, to which people absent from work for four weeks or more can be referred (see box 3). The Government has said that this new service will be run by an external provider following a tendering process and will require up to 740 OH professionals and 10 physicians, plus around 1,300 other full-time healthcare professionals. It will cost up to £50 million, but generate significant benefits for the Government in terms of increased tax and national insurance revenues and reduced benefit expenditure, as well as savings of up to £165 million for employers. Among a raft of proposals, the report also outlined plans for the revision of guidance around the fit note and the extension of its telephone-based OH advice line pilots until March 2014. Certainly, the feeling among the profession is that at one level, finally, there is now the potential to seriously put OH on the map in the minds of the public and employers – and even take OH into areas where it has struggled to venture up to now, especially in small to medium-sized businesses. Yet despite the generally positive response, there are significant caveats and worries. 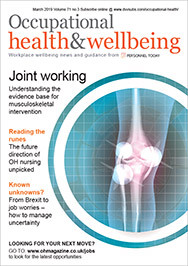 Graham Johnson, clinical lead, nursing at Bupa Health and Wellbeing, argues that on the one hand, “it is great that [the report] has actually identified the potential for supporting employers with the management of sickness absence”. But on the other, he says there is still a lot of detail that, for now, remains opaque: “For example, they have identified the number of practitioners that they estimate will be needed, but where have those figures come from? And where are those people going to come from? There is still a shortage of specialist OH nurse practitioners. It is also important that a blended approach is taken, she says, bringing together a mix of high-quality in-house, independent and outsourced service provision. A further question is whether this new service could backfire on the OH profession or even be a threat in terms of its potential to undercut existing OH provision. Harrison says that if it is to be successful, the new service will need to be “sold” to the public quite carefully as something beneficial and positive and not just to do with getting people off benefits. “It is going to be hugely important that people feel that they can trust it. It will need to have credibility, and that may have to come from some form of accreditation process,” he adds. Dr Richard Heron, president of the Society of Occupational Medicine, argues that to be successful, the new service will “need a really high calibre of coordination so that the links between the advisory and assessment service are robust”. Finally, one question mark posed by the report is the future role of the Fit for Work Service pilots. Funding for these, unlike for the OH advice line pilots, has not been extended, and so technically will cease at the end of March 2013. Leicestershire GP Dr Rob Hampton, the clinical lead for the Leicestershire Fit for Work Service pilot, argues that the team there is confident of securing funding to carry them through to 2014 and the launch of the advisory service. But he also emphasises that the experience many of the pilots have built up in the areas of case management and liaising with local GPs could be invaluable, and that it would be a shame if this was lost before the service gets up and running. “As a GP who has also been an OH physician for 10 years, it has long struck me that these two need to be working together far more closely. It will be a change because the default will no longer be that a GP can just sign someone off note after note after note, and nothing happens,” he says. The Frost/Black report calculated that the annual cost of the new service will be between £25 million and £50 million and that around 560,000 absentees are likely to use it each year. “It will employ OH nurses, occupational therapists, occupational physicians and other appropriate experts and will recommend interventions at a total cost between £20 million and £85 million,” the report said. However, the benefits to government, employers and individuals would also be substantial, it recognised. The benefit for the Government in terms of increased tax and national insurance revenues would be £100 million to £215 million, with reduced benefit expenditure saving a further £30 million to £60 million. “Employers will save between £80 million and £165 million a year in reduced sickness absence payments, while economic output will increase by £450 million to £900 million,” the report added. In terms of timings, it outlined a time frame of the service to be delivered through external provision “certainly” by the end of 2014, and from spring 2014 “if we are able”. The report also cited a study by consultancy Deloitte, commissioned by the Department for Work and Pensions, that looked into the availability of healthcare professionals to conduct health assessments in the context of benefit eligibility. This, it said, had calculated “that the UK currently has 65,000 nurses, 19,000 physicians, 9,000 physiotherapists, 4,000 occupational therapists and 500 psychiatrists who would be able to absorb additional demand in their respective markets”. While it conceded the Deloitte analysis did not “provide any firm conclusions”, what it did suggest was “that the service will increase the demand for healthcare professionals, though not at an unprecedented level”. Where a patient has been on sick leave for four weeks, there will be a requirement on a GP to refer into the advisory service unless there are very clear or well-defined reasons for not doing so. How exactly this works is yet to be decided, but it may be through an electronic version of the fit note. In recognition of concerns raised by GPs, clear guidance will be developed “by OH experts and GPs” to assist GPs in making appropriate referrals, the report says. This will make clear, the response report argues, “that referral should be the default position after four weeks of absence, and the criteria for exceptions will be limited and clearly defined”. GPs will, if they wish, be able to refer prior to four weeks. And employees keen to be referred during a period of absence will be encouraged to see their GP to discuss this as an option. If an employee has not been referred at the four-week point and an employer does not feel that the GP involved in the case is being sufficiently clear or helpful, the employer will also be able to refer an employee to the service themselves. Once someone is referred, the assessment and advisory service “will ensure the resulting information and advice can be shared with all the relevant parties, especially employers”. The report says: “Recognising common practice within the OH sector, the initial assessment of the employee will be carried out on the phone by an OH professional. “This call will allow the service to judge the level of need, thereby ensuring the service provides the most relevant and effective support or treatment. Following this, a report will be shared with the employee, employer and GP outlining how best to enable a return to work. “The GP and employee will receive the same information, while the employer’s version may be slightly amended to reflect the sensitive nature of medical information,” the report says. “We expect employers to be able to rely on the report to provide definitive advice on whether or not the employee is able to return to work immediately, the likely timetable where more time is needed and adjustments that would help facilitate an earlier return to work. In more complex cases, of course, the outcome of the assessment may include signposting to other services for support and/or treatment. non-health-related issues and non-work-related issues. “Responsibility for taking forward the recommendations from the service is shared by the employer, the employee and the GP, although the service will follow up with individuals to ensure the recommended steps are understood and are being progressed,” the report adds. There will also be a telephone and web service for employers to support employees who have not been formally referred for an assessment. GPs will also be able to access this service. how to appropriately apply the advice on fit notes from GPs. On top of this, the report stresses that there will be a case management approach for those employees with complex needs who require ongoing support to enable their return to work. The report states: “The new service will work with employers and their OH providers to ensure the necessary support is given and, where OH support is not available, the service will provide ongoing management. A case management approach will also be adopted where employees are unlikely to return to their current employer, or to identify what type of job might be suitable and signpost individuals through a new internet job-matching service called Universal Jobmatch.